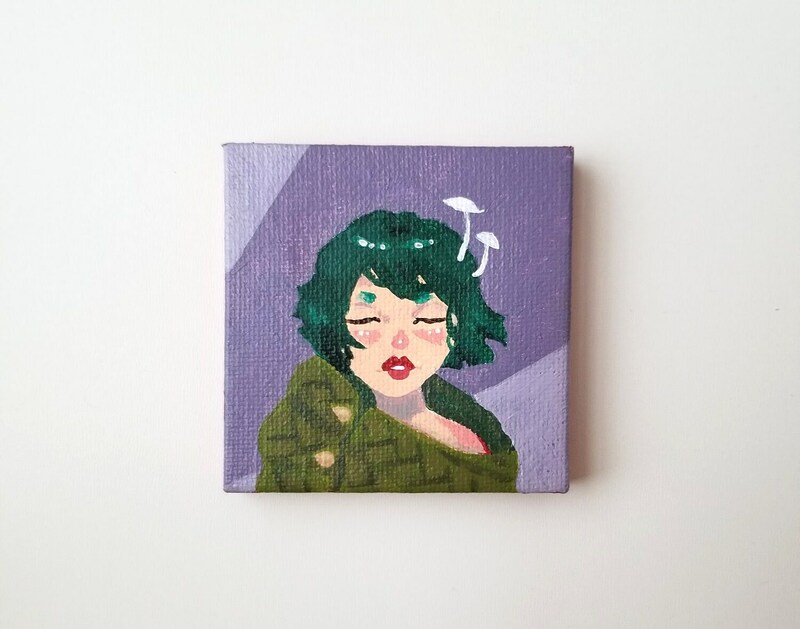 One tiny original acrylic painting on stretched canvas. The edges have been painted. Does not come with a frame, but see listing options to add a tiny easel to create a quick display! Painting is 2.75" square--the perfect size for a dollhouse or desk. Also makes a great addition to a shoebox gift or care package. Please allow for color differences due to lighting and monitors. Thank you!